Jim Murray is probably the most acclaimed whisky expert in the world having visited more distilleries than any living person. He is also the author of the best selling Jim Murray’s Whisky Bible, the world’s leading guide on the amber nectar. He has upset the Scotch malt whisky industry by saying it is now being outshone by “vastly improved” American brands. “Everyone automatically thinks that the best whisky is made in Scotland, but there are too many bad casks rattling around,” he said. “Generally speaking bourbon has overtaken Scotch. The best whisky is coming not from Scotland any more, but from Kentucky. 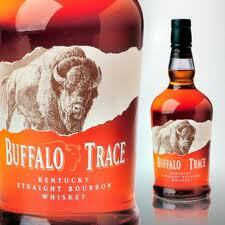 Buffalo Trace, a bourbon distillery, is arguably the best distillery in the world,” Mr. Murray said. He gave his main reason for the deterioration in Scotch’s quality as the use of sulphur candles to sanitise some barrels. He believes the sulphur candles used to sanitise barrels has added a ‘bitter finish’ to some Scotch, while the addition of caramel to others has meant deterioration in the quality of some whiskies, and bourbons made in the US have improved in recent years, he says.